We performed our testing in Corsair Obsidian 800D case with three reference fans running at 900RPM (room temperature about 22°C). 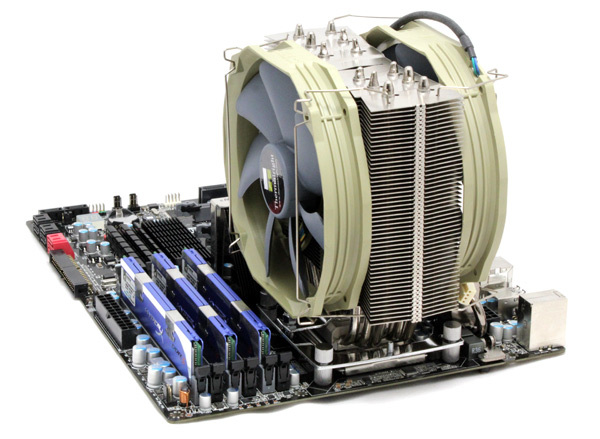 Our weapons of choice were EVGA’s X58 FTW3 motherboard and Core i7 930 CPU. 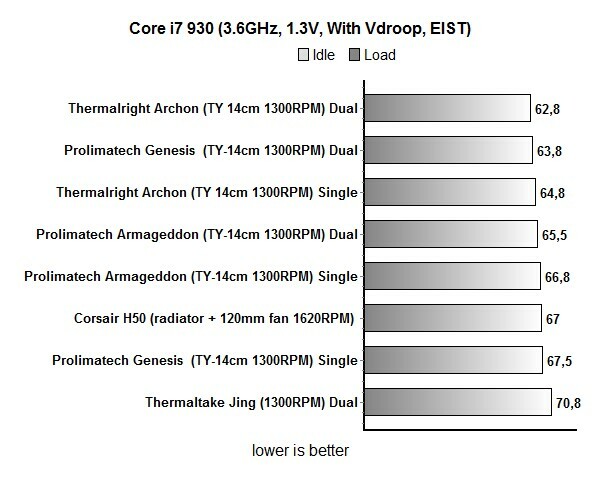 The temperatures were measured at reference 2.9GHz as well as after our overclock (we pushed the CPU to 3.6GHz). 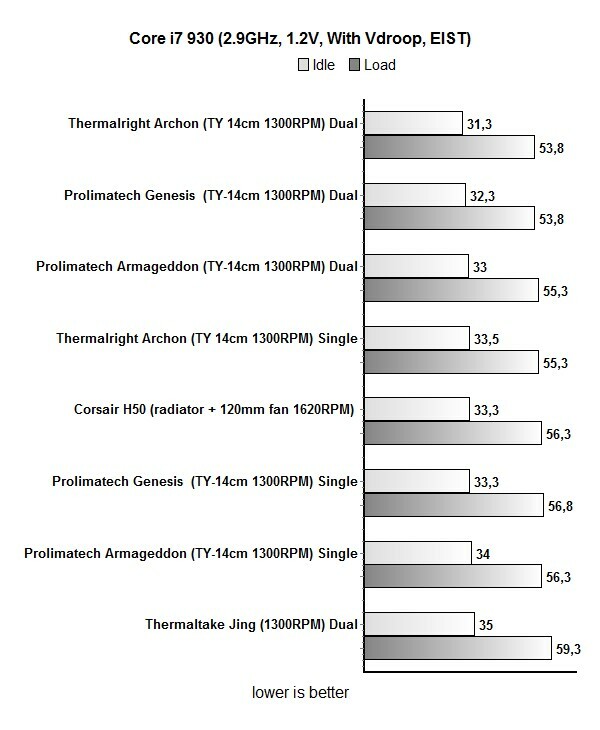 For the first test with Archon we used one 14cm fan. We’re talking about Thermalright’s TR-TY 140 fan (900~1300RPM) which ended up being enough for Archon’s excellent performance. The case’s rear panel houses a 14cm fan that pushes the air out, so we’ve got ourselves a neat push-pull setup here. 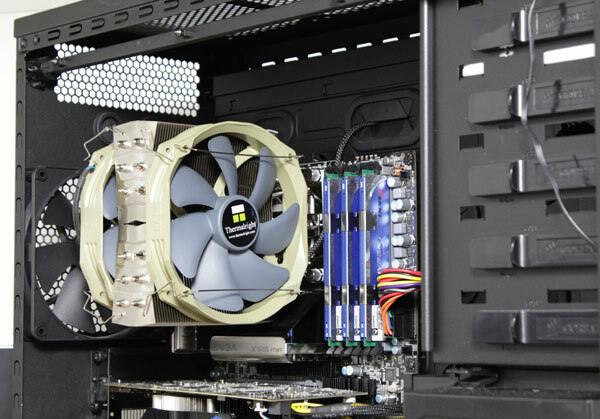 The 14cm, 900 RPM fan on the case’s rear panel does great to improve cooling and ultimately, adding another fan on the cooler’s tower heatsink made little difference. We used Prime95 to put a 100% load on all Core i7 930’s cores, so bear in mind that we’re talking about a scenario that will most probably never happen. We measured temperatures on all four cores using AIDA64 (the successor to Everest), and put average values in the tables. We used Gelid’s GC Extreme paste.